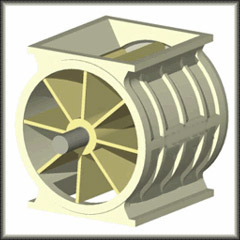 Rotary feeders are used to feed material in process to next station. Standard speed include 8 revolutions per minute upto 35 revolutions per minute. Construction in M.S. Zinc plated, Stainless steel, Aluminum or as per requirement.